Home How often do you smile? How often do you smile in a day ? Did you notice that when you smile at someone they smile back. This could make someones day and its free. 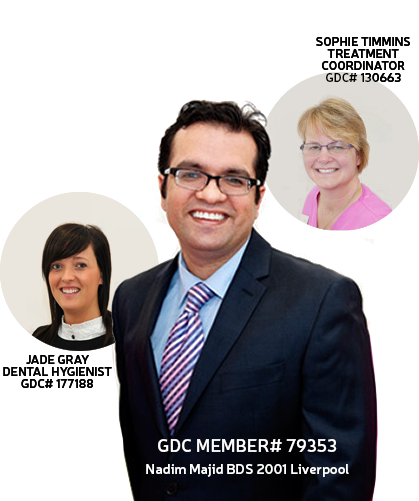 Dr. Nadim Majid qualified from Liverpool Dental school in 2001 and since then has worked in Lancashire for a number of years. He decided to undertake a career in dentistry as he found it was a good mix of science and art and also gave him the ability to help people and make a difference for them. 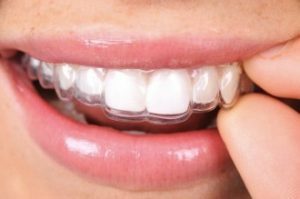 This really hit home when he worked in a nursing home for a short time and actually saw the impact upon the health and well being of patients whom had lost their teeth the impact was significant on the general health and well being and this is something Dr. Majid wanted to make sure he helped others avoid. Dr. Majid is trained in hypnosis, sedation for nervous people, dental implants as well as braces. He lives in Lancashire with his two children (twins) and his wife who is a teacher. Dr. Majid has always and will continue to be focused on producing top quality services that his patients have come to expect and appreciate. Great service from Jenna, Sophie and Hannah. My teeth feel squeaky clean, thank you. Late appointments on alternative days can be arranged on request. Don't let the cost of treatment prevent you from getting the smile you've always wanted. Make it easier by spreading the cost.